Design is at it's best with the Pro First 420 mailbox ! 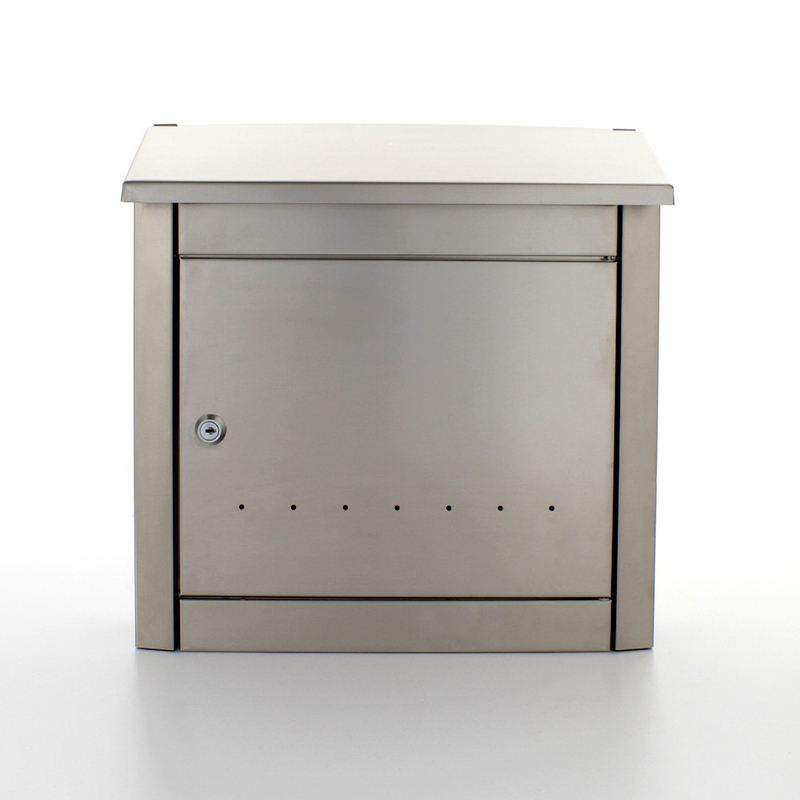 Made from brushed stainless steel, the post box features decorative perforations on the door and slightly bevelled sides. The sloping front flap protects the items inside from moisture and dirt. The material suitable for wall mounting is included in your delivery.